Имате въпрос към The Flora Boutique Hotel? Удобно проектиран като за бизнесмени така и за почиващи туристи, The Flora Boutique Hotel е идеално разположен в Чамкар Морн - една от най-посещаваните части на града. Хотелът не е далеч от центъра на града - намира се само на 1.9 km от него, а до летището се стига за около 25 минути. С удобното си местоположение хотелът предлага лесен достъп до всички градски забележителности, които задължително трябва да се видят. The Flora Boutique Hotel предлага безупречно обслужване и необходимите удобства, за да удовлетвори гостите си. Хотелът осигурява безплатен WiFi достъп във всички стаи, ежедневно почистване, таксиметрови услуги, билетни услуги, експресно настаняване/напускане, за да гарантира комфорта на своите гости. Влизайки в една от 10 уютни стаи, ще забравите за ежедневния стрес с помощта на удобства и съоръжения като телевизор с плосък екран, достъп до интернет (безжичен), безжичен интернет достъп (безплатен), стаи за непушачи, климатик в някои от тях. Хотелът разполага с множество уникални възможности за отдих, като например градина. Каквато и да е причината за Вашето посещение в Пном Пен, The Flora Boutique Hotel е идеалното място за една вълнуваща почивка далеч от всичко. 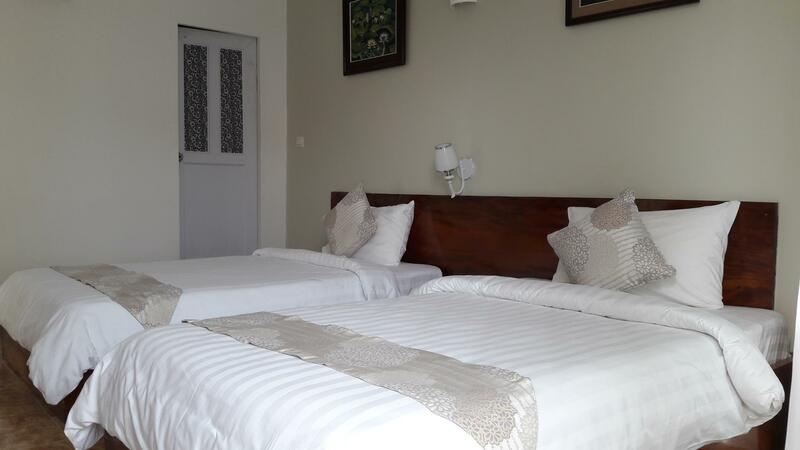 The rooms are clean, spacious and more than sufficient for someone looking for a decent place to stay. 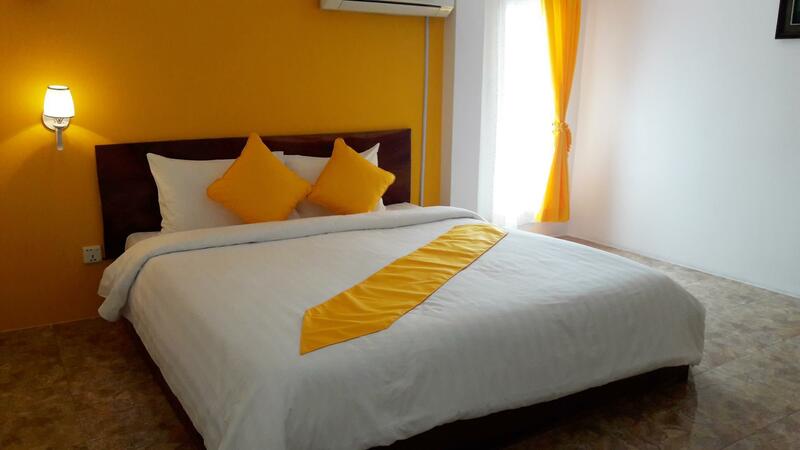 The hotel is also very reasonable priced and cheaper than similar hotels. The included breakfast was small but more than enough for me and very tasty. The staff were friendly and very helpful, accommodating our every need. The only downside was a sewage smell, but it could only be smelt from the bathroom and was bearable. If you’re on a budget but also looking for an all round good accomodation then this is the place to stay..
Dear Valued Guest. On behalf of The Flora Boutique Hotel team, I would like to express our sincere thank you for staying at our hotel during your visit in Phnom Penh. We appreciate and thank you for the review. We will continue to strive to serve best to our guests and constantly improve in quality and service. We know our hotel is small and compared to other big hotel we are still lacking in many things to be able to satisfy our Guests in everything. Therefore we would like to ask your sympathetic understanding for any inconvenience during your check in and entire stay in our hotel. Your feed back or reviews is very important to us to improve more and make the stay of our guest enjoyable and comfortable. Once again thank you so much and hope to have another chance to welcome you again in the future. Regards Flora Management and Entire Team. The rooms are clean, spacious and more than sufficient for someone looking for a decent place to stay. 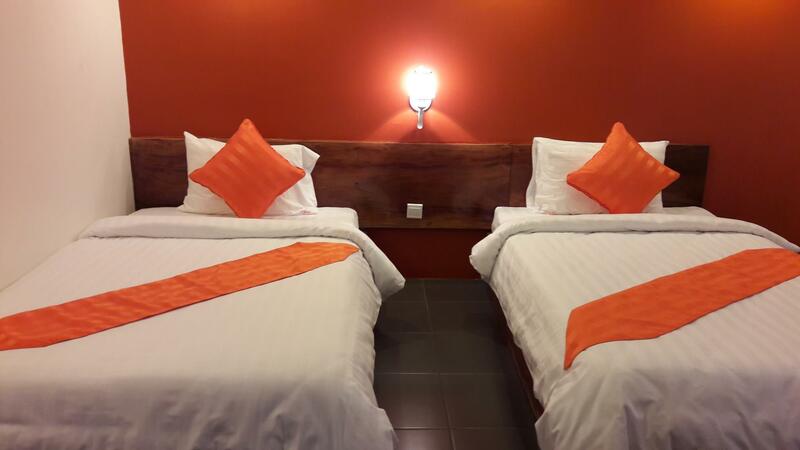 The hotel is also very reasonable priced and cheaper than similar hotels. The included breakfast was small but more than enough for me and very tasty. The staff were friendly and very helpful, accommodating our every need. The only downside was a sewage smell, but it could only be smelt from the bathroom and was bearable. If you’re on a budget but also looking for an all round good accomodation then this is the place to stay. Nice Staff and Great room. The rooms were clean, AC and hot showers worked well. Staff was friendly and breakfast was tasty. The good coffee served was a definite plus! I know the stairs were mentioned in previous comments. If you feel that would be a problem for you, you could request a ground floor room. I personally had no trouble with the stairs. Great location for Genocide Museum. Quiet area. 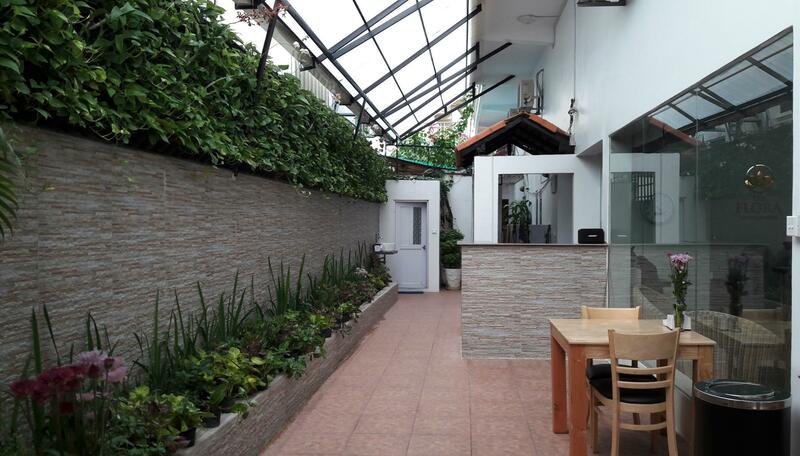 Well kept new hotel with beautiful courtyard garden. Excellent included breakfast in the morning. Very helpful and attentive staff. Highly recommended. I would certainly return. The hotel was a new construction located right across the street from Toul Sleng Prison, which was a bit eerie in the night-time. Room was ok- could use more windows and the bathroom constantly smelled of sewage. Bed was comfortable and the room was clean. This hotel was fine for a stay of 1 night, but I opted for a different hotel more near the old center of town for my other nights. This hotel has three major problems none of which you can guess beforehand from photos and map alone. First of all, there seems to be some repair works undergoing either in the hotel building or the building next to it. They start early in the morning (at 7:00 AM) and the noise is terrible. Room walls' and balcony door's sound isolation is virtually non-existent. Even with decent earplugs you can't sleep after around 7:00 AM. Secondly, foul-smells are coming from the street frequently. I don't know the exact source, but it seems there are waste waters nearby. Once again, all the doors and windows being closed still can't prevent the odor from going in. And finally, there are ants. Every morning they are some of them inside the coffee cups in the room and inside the cups for toothbrushes in the bathroom, there are a lot of them on the walls and on the table. Funny thing is that aside from the three aforementioned major problems, the hotel is nearly perfect. The place was clean. Our room was quite big and comfortable. Staff was really helpful. Probably not the best location but there is still a few restaurants and bars nearby. Really close to the genocide museum. This is a good hotel. The staff are very friendly. The rooms are clean, except for the bad smell coming up from the drain in the bathroom every evening. The hotel should do something about it. Breakfast location is nice and the food is good, but it gets boring as the same bread and eggs every day. But generally this is a wonderful place for anyone who wants to stay in Phnom Penh for 2-3 days. Fantastic room. Love everything about this place. Excellent staff. Near a cafe and genocide museum. Feel safe as they have night guard at entrance. A bit far frm downtown - take a tuktuk for few dollar. We only required an overnight stay and without having any high expectations, we enjoyed our time there. Staff were great, although we didn't require too much of them. I'm sure they would have assisted further if necessary. Overall, this established is more than adequate for the price. However, the location is not really conducive to enjoying a good walk around. It's a fair way away from the main city & more tourist areas. Having said that, the Russian market was within walking distance. Anyway, this little boutique served our needs for the night and we have no complaints. Thanks staff, good job. Phnom penh was our first stop in Cambodia. We arrived tired and a little confused but fortunately the owner was on hand to provide us with all the information we needed as well as a welcome drink. A beautiful garden area surrounds the hotel and adds to the perfection of flora boutique. The room was big and clean, the bathroom had a hot shower and free shampoos, conditioners, etc and there was a safe for valuables. Location was good, nice and quiet on a night. They even let us use the room to rest/ wash after we had checked out and were waiting for our bus to sihanouksville. An absolute delight. Amazing, this hotel calling them 3 star. if you walk in you will give NO stars. One of the stinky hotel in Phnom Penh. wonder how come this hotel rated fantastic and not sure who given such ratings. May be fantastic in stink. Never recommend this hotel, Travellers don't go with the ratings, I had very bad experience with this hotel. if you don't believe you are welcome to try. There is no chair , no soaps, no kettle, coffee or tea bags. all you get is vacuum room with ZERO ventilation including toilets. Breakfast - fist day you like it , 3rd day you feel sick to see the same menu. English speaking only 1 or 2 during day time. Remote location. i am surprised how come this stinky hotel got fantastic reviews. i have no clue, the rooms are totally blocked there is no ventilation or exhaust fan in toilets/shower rooms. when you open the door there is vacuum of smell which makes you ill for next 1 hour. you have to keep the door opened till the smell goes away. i will not recommend anyone to stay in this hotel. there are better hotel near to the same location at the same price. breakfast, you feel sick on 3rd day. while you shower water clogs. The area near S21 isn't as touristy as the Riverfront area, but I think that's a good thing. This hotel was nice enough, but for some reason it just seemed to fall short of the mark for us. All the ingredients are there for a great experience, I think it just needs a bit of tweaking. E.g. one of the breakfast options is eggs with sausage, but they only give you half a sausage. Feels a bit mean. Room is good. This is a great place. 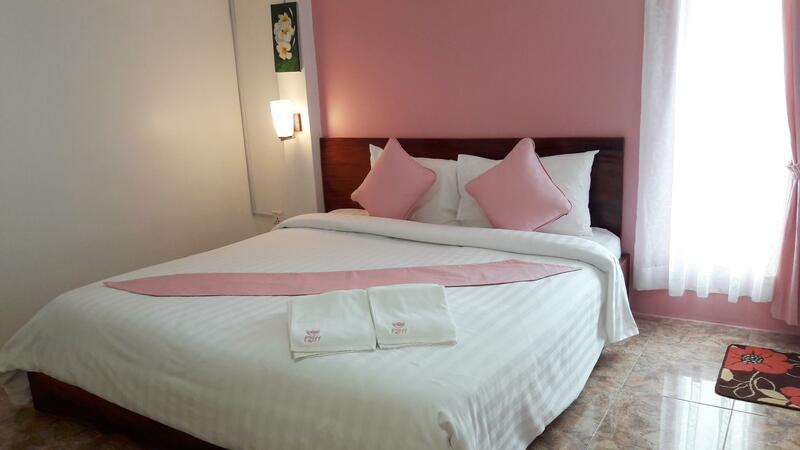 The rooms are really well done - just a few tiny things like the drain in the shower didn't really drain, and the blanket on the bed was really thin, but the bed was comfortable. I would stay here again. The hotel is located next to the tuol slang museum, to the main restaurant are, its a short tuktuk drive(3$). Its easy to get around and there are a lot of nice places to see and delicious restaurants. The hotel fulfiled all our expectations and is beautifully decorated.